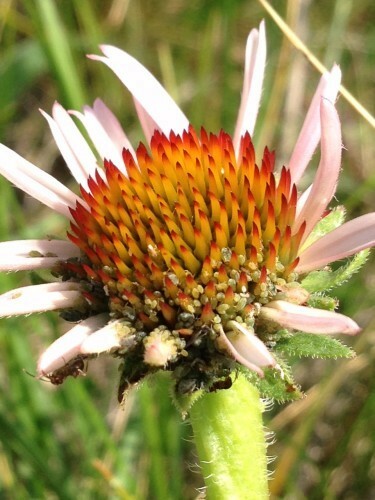 Katherine Muller’s paper “Echinacea angustifolia and its specialist ant-tended aphid: a multi-year study of manipulated and naturally-occurring aphid infestation” was selected by the Editors at Ecological Entomology as the most interesting paper in the current issue (41:1). This means that her paper will be highlighted on the Journal’s website and made Open Access for the next two months, along with a summary of the paper and an image of the ants attending the aphids. Congratulations, Katherine! This paper was based on Katherine’s MS thesis in the Plant Biology and Conservation graduate program at Northwestern University. Katherine is now in a Ph.D. program at the University of Minnesota. 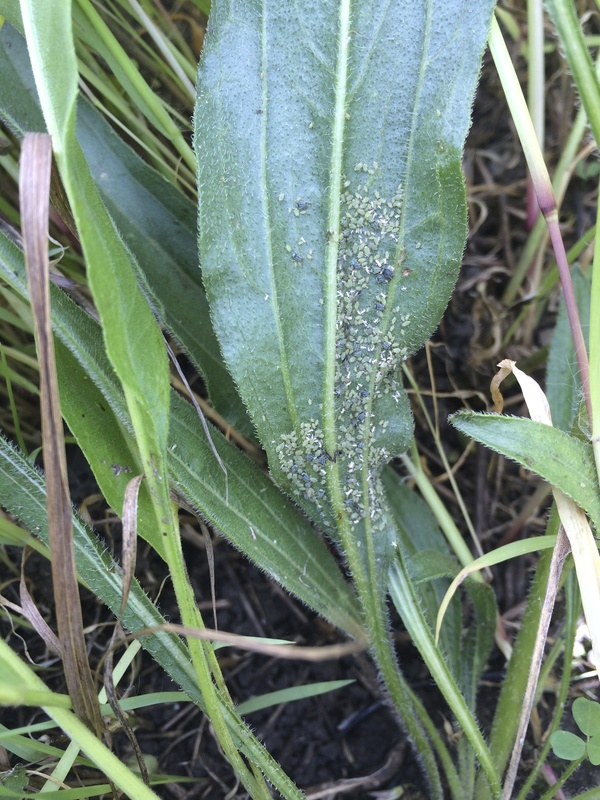 Aphid abundance was manipulated on the perennial coneflower Echinacea angustifolia, which hosts a specialist aphid (Aphis echinaceae) tended by ants. Both have undergone extensive habitat loss and fragmentation. Aphids did not harm host performance after two years, though they did accelerate seasonal senescence. 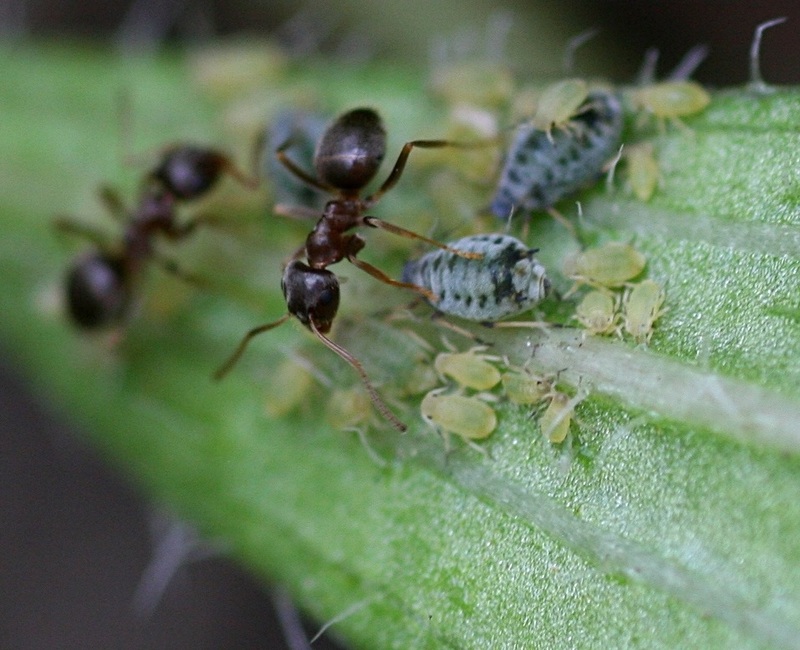 This experiment found a negative association between aphids and other herbivore damage, suggesting ant protection. 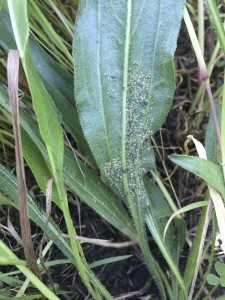 However, observations showed the opposite trend, with larger plants more likely to have aphid infestation and leaf damage. 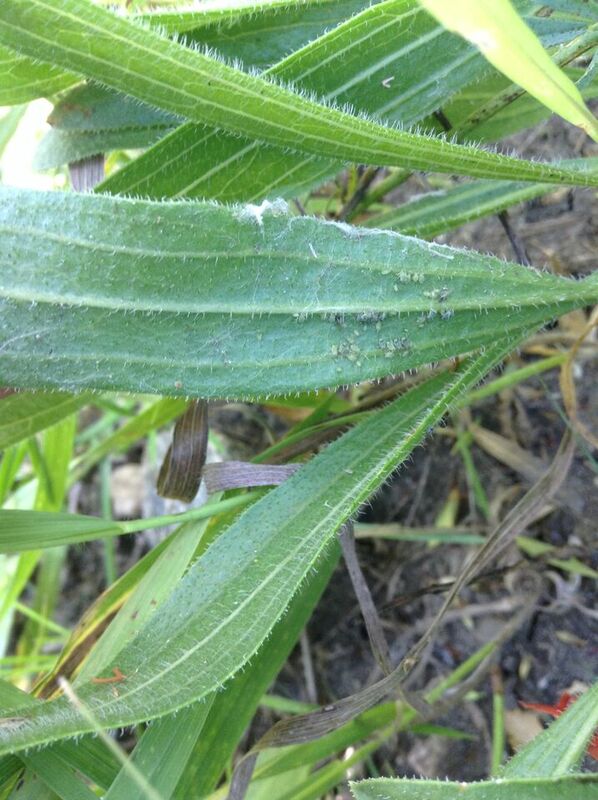 The results suggest plant size drives foliar herbivory more than aphid infestation. The paper was co-authored by Stuart Wagenius, Katherine’s MS adviser. Here are some of those cute little aphids! This collection plant had some of the most aphids we’ve seen yet in one place!